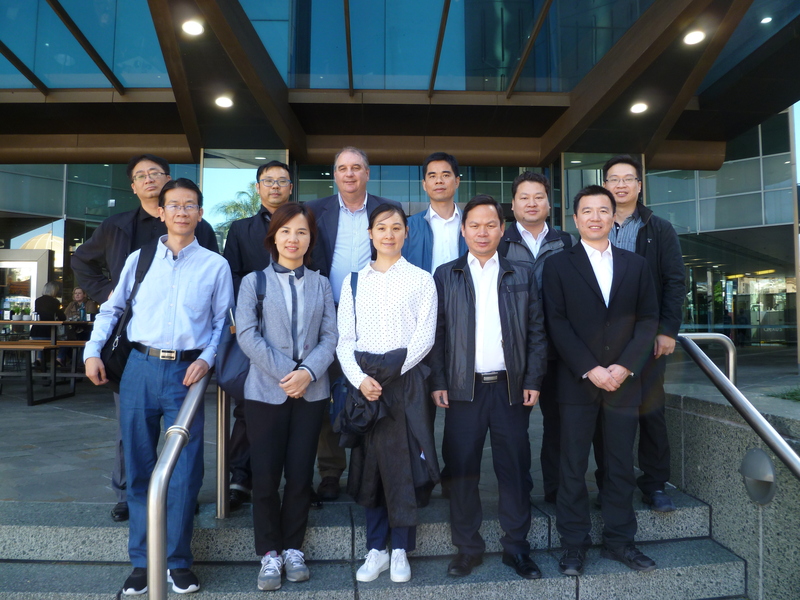 The New Ventures Australia Group is proud to announce its new partnership with the Winglong agency in Sydney, One of only a few Chinese State Government authorized agents in Australia which arranges professional development programs and Australian tours for high level Chinese official’s and delegates. 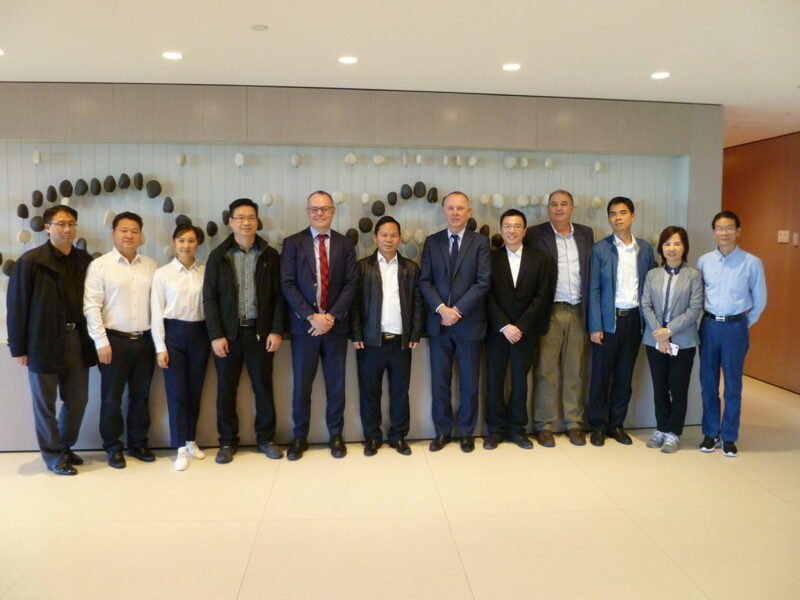 This month Mr Stewart Gow and Dr Alick Lau were invited by Winglong to host and design a five day program for The Guangxi Financial Investment Group (GFIG) from the Guangxi Province of Southern China. 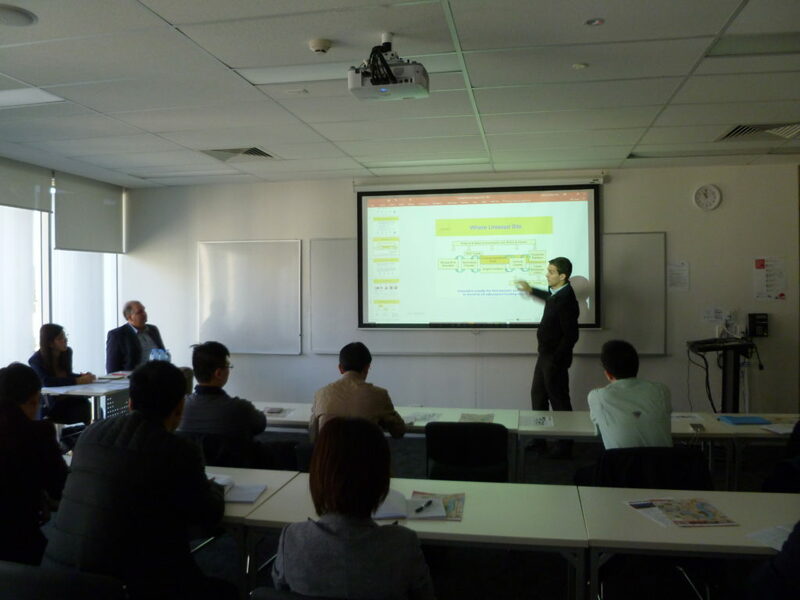 The Guangxi Financial Investment Group is a 15 Billion (AUD) state owned banking organisation with over 4,500 employee lead by Chairmen Mr Meng Kunwei who has been awarded the title of “Top Ten Entrepreneur of Guangxi” for three consecutive years and “Outstanding Entrepreneurs of the Year” (2017-2018) for his contributions in the province’s economic development. Leading the delegation. Mr Meng along with the groups Vice President, The General Counsel and Regional General Managers visited Australia in order to gain exposure to international business practices and to learn about the Australian banking and finance system. Through its Queensland networks New Ventures Australia arranged site visits and a series of industry experts and Queensland State Government Officers to present to the delegation on topics spanning governments grants and R&D commiseration through to investment banking and corporate governance. 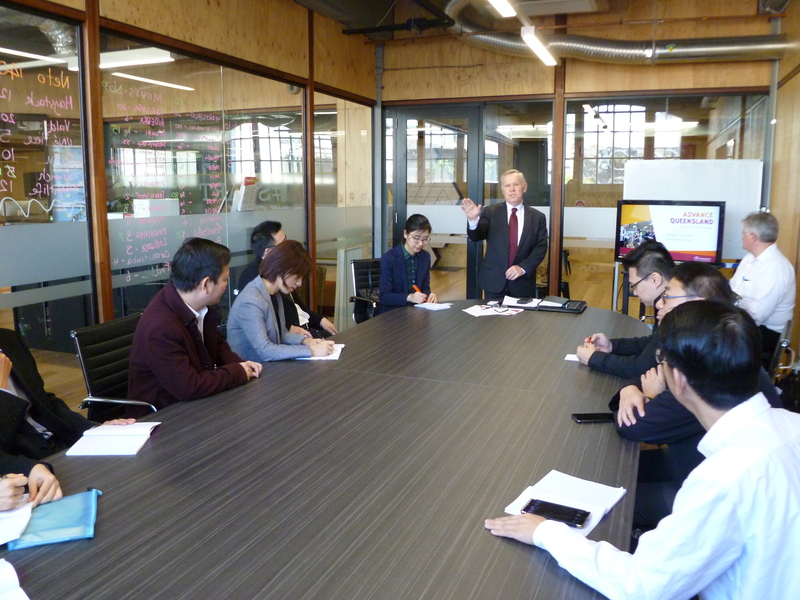 A highlight of the visit for the delegation was a welcome and presentation on innovation in Queensland by Executive Director Paul Russell, in charge of The Advance Queensland Innovation and Entrepreneurship programs. 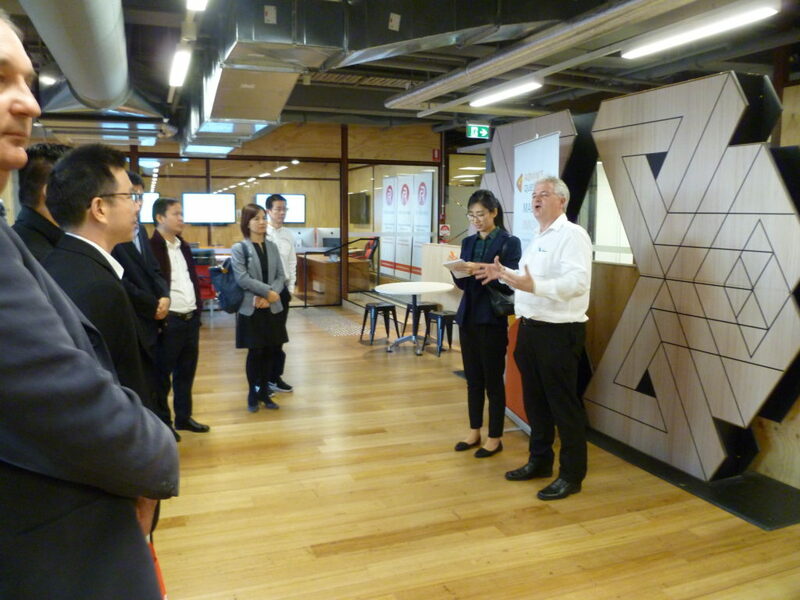 Follow by a tour of The Precinct innovation hub in Fortitude Valley by lead by Alan Murgatroyd from the Department of Innovation, Tourism Industry Development and the Commonwealth Games, supported by translator Gubby Chen. 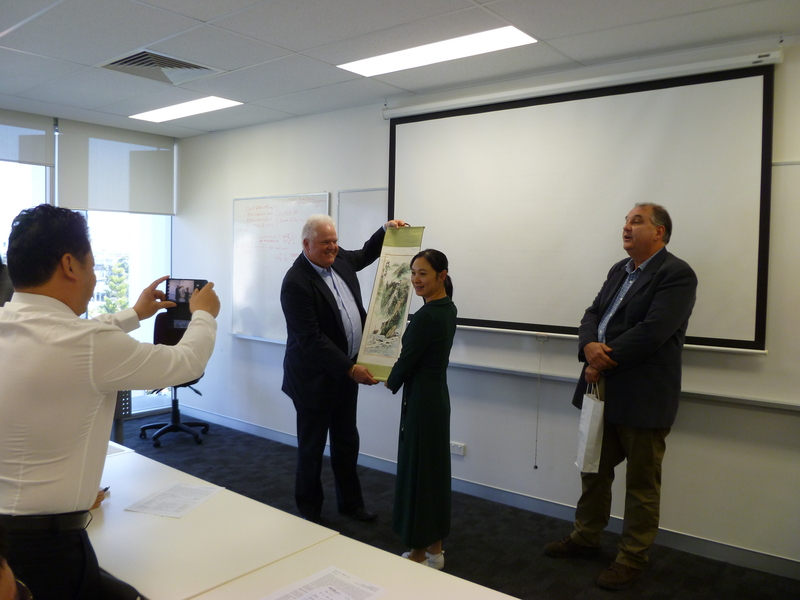 The province of Guangxi possesses an agricultural based economy similar to Queensland’s own, which made the presentation from Cameron Macmillian, CEO of the Queensland Rural & Industry Development Authority (QRIDA) of extreme interest to the delegates leading to a lively exchange of dialogue dispirit the language barriers. 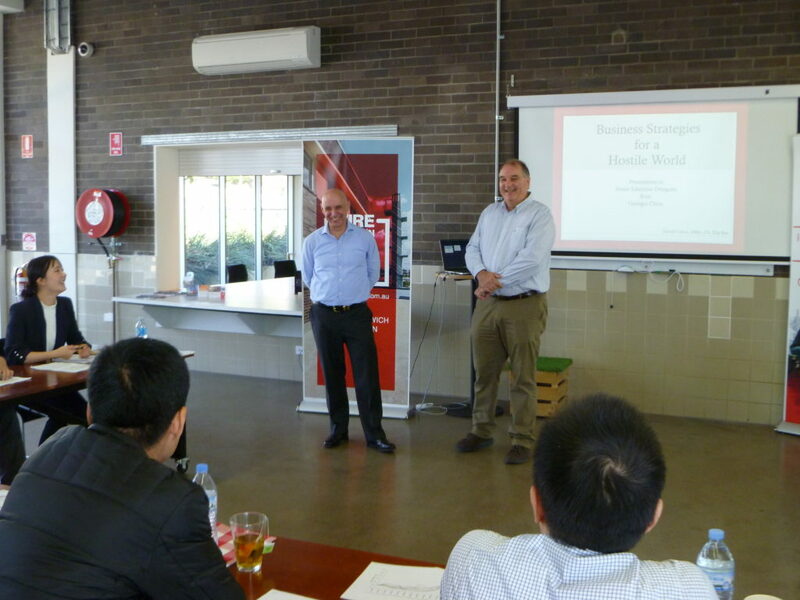 The five day program also included lectures from turn-around specialist David Cotton at Ipswich incubator Firestation 101, Where Mr Cotton presented successful case study and how they were achieved. 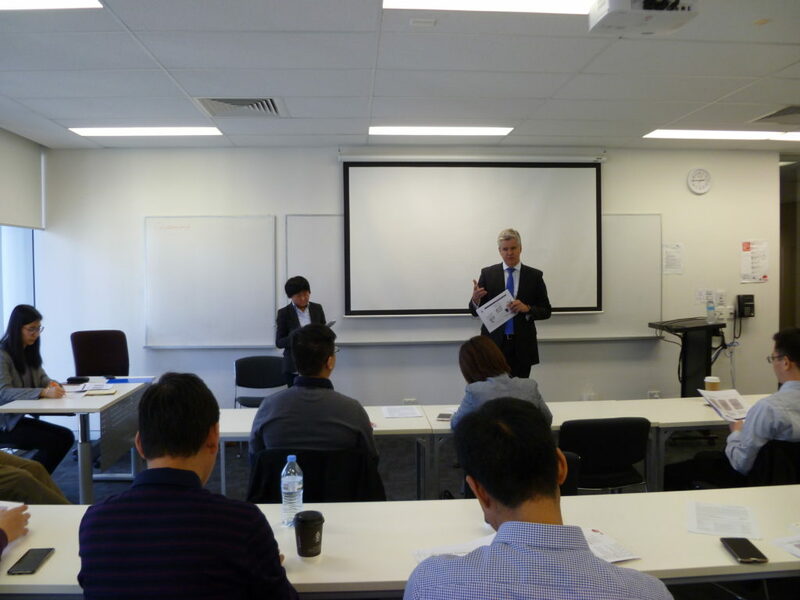 Dr Anthony Musumeci, Investment Manager from UniSeed lectured on the topic of commercialization and economic development using Australian university success stories. 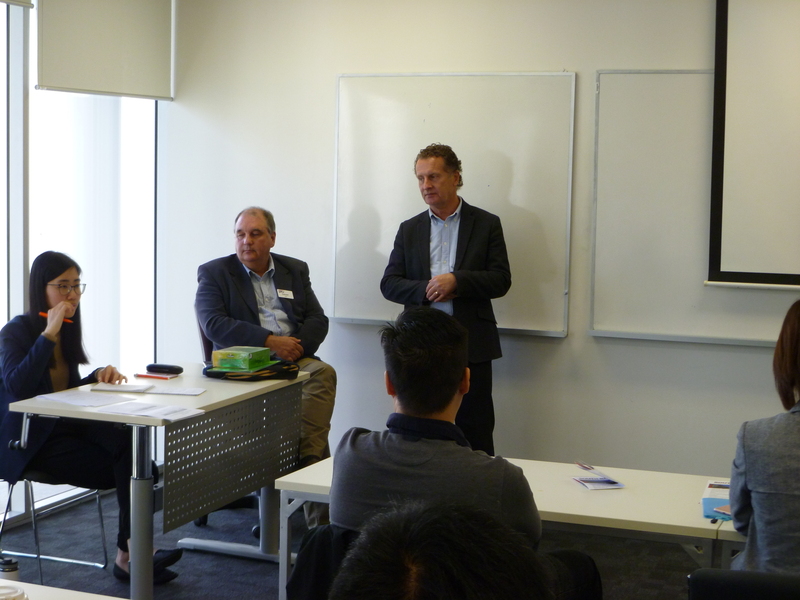 Business banking specialist, Doug Smith provided personal insights into Australian Banking, SME loans and Risk management supported by his 30 years industry experience. Concluding the visit senior partner’s from BDO Australia, Peter Winterflood and Dylan Bynre talks to the delegation about good corporate governance practices and compliance within Australia.